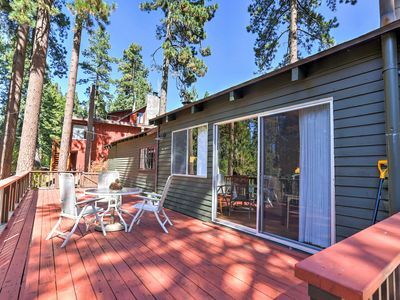 You’ll find yourself at home after a day on the mountain or the lake when you relax in the large rear yard complete with spa. 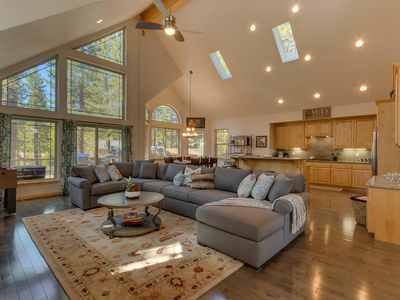 You could also gather the entire family in the spacious living room for a movie or game night OR send the kids downstairs to the second living area to play with the classic arcade while the adults socialize upstairs. 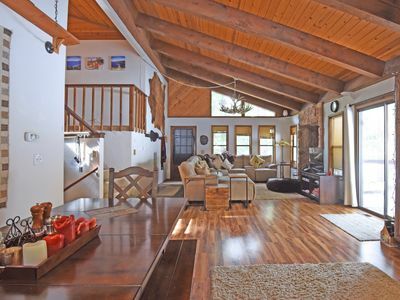 There’s plenty of room to unwind with four bedrooms and two living rooms. 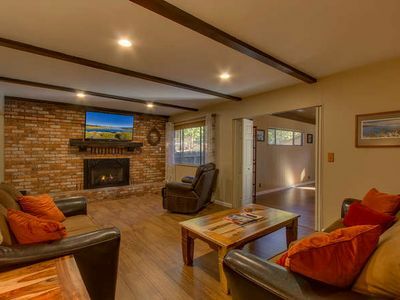 The upper deck has comfy couch seating with a gas grill available for summer cookouts. 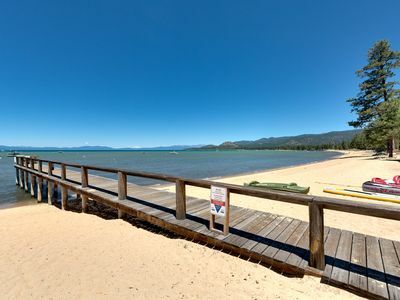 You will also love the convenience of being so close to almost everything our great city has to offer including the lake, Heavenly, casinos, plenty of restaurants and shops, and tons of hiking and biking trails all within minutes. 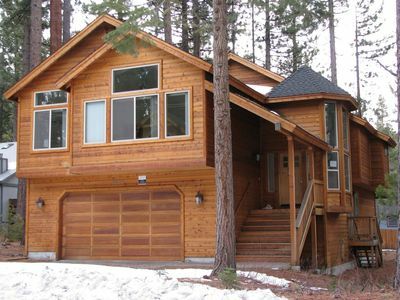 > This home will be stocked with a starter set of consumables such as soaps and paper products. Guests are advised to either bring or purchase additional after arrival. 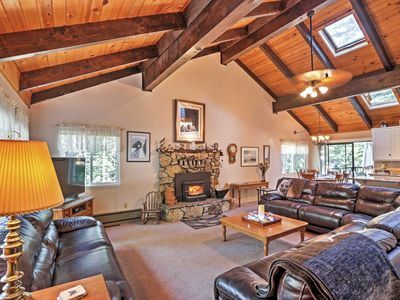 This home is centrally located just minutes away from all the action. 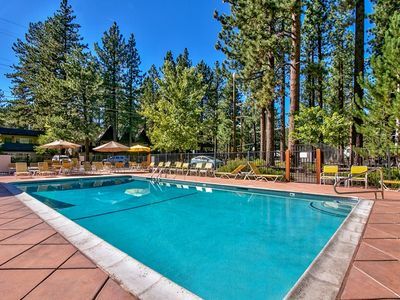 You’re less than 6 miles away from Heavenly, Casinos, and the Lake. 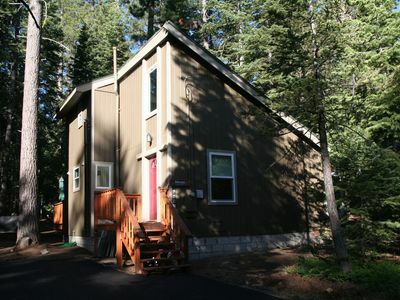 This home is ideal for those who enjoy the great outdoors as there are numerous trails steps away from the front door. 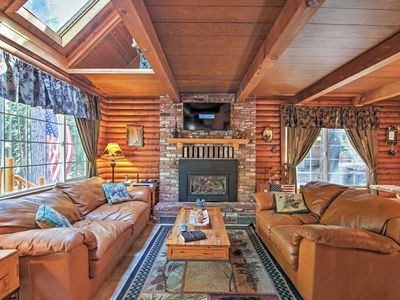 'Smokey's Den' South Lake Tahoe Cabin w/Hot Tub! Cute, Clean And Close To Everything! 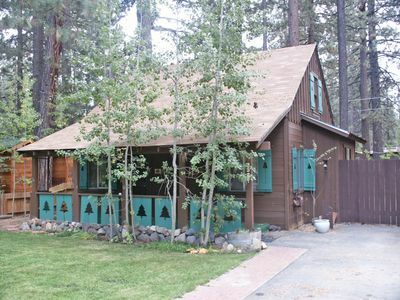 Zephyr Cove Cabin w/ Porch - Close to Lake Tahoe!